The Ukrainian subsidiary of A.P. 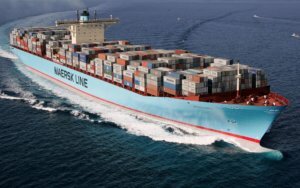 Moeller-Maersk Group hopes that cargo flow from/to Ukraine would increase, the company said in a press release spread among journalists at a meeting of the first vessel of the ME3 service from Maersk in the TIS container terminal on Wednesday. “Maersk Line Ukraine annually delivers the flow of containers at the level of 200,000 TEU to Ukraine, while it is less than 1% of the total volume of transportation of the company around the world. However, the operator expects to increase cargo traffic,” the company said in the press release. The company is confident that the cooperation of TIS with Maersk will be long-term and large-scale one. “TIS has the best port and rail infrastructure in Ukraine, which is very important for our customers,” the press service of the company said, citing General Director of MaerskLine Ukraine Roman Koloyanov as saying. As reported, ships of Denmark’s Maersk Line, a large global container operator, would not enter the Odesa maritime merchandise port from April 1, 2018. 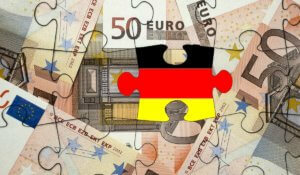 Germany is ready to allocate EUR 10 million for projects of the Energy Efficiency Fund and EUR 4 million for the training of energy auditors and training of the Fund’s employees, Minister for Regional Development, Construction, Housing and Utilities Hennadiy Zubko has said. “The German government is ready to sign an agreement with IFC – International Finance Corporation – on adding additional EUR 10 million to the Multi-Donor Fund for co-financing the projects of the Energy Efficiency Fund of Ukraine,” Zubko wrote on his Facebook page. He also said that the German government had agreed on the implementation of the project of technical assistance to Ukraine in the training of professional energy auditors and training of the Fund’s employees in the amount of EUR10 million. As earlier reported, the Cabinet coordinated a joint program with the EU for financing the Energy Efficiency Fund in the amount of EUR 268 million. According to the Ministry of Regional Development’s press service, EU assistance in 2018 will be EUR 50 million, in 2019 – EUR 54 million. The press service also recalled that the financing of the Energy Efficiency Fund from the state budget will be UAH 1.6 billion in 2018. The welding electrode manufacturer PJSC PlasmaTec (Vinnytsia) saw a 38% rise in electrode production and sales in 2017, to over 40,000 tonnes, according to a company financial report. 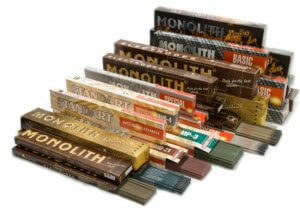 “This is the highest figure among manufacturers of welding electrodes of Ukraine and Belarus,” the company said. At the same time, the increase in production and sales relates to the implementation of the program for the renewal of fixed assets: in 2017, more than UAH 98.5 million was invested in production (in 2016 – UAH 109.4 million), including UAH 75.77 million for modernization and purchase of real estate (UAH 35.37 million), and UAH 22.75 million – for the purchase of new equipment and modernization (UAH 74 million). According to the report, the consolidated net income of PJSC PlasmaTec increased by 43.5% in 2017, to UAH 1.335 billion, the net profit coincides with the earlier announced preliminary UAH 143.86 million (almost doubled on 2016). The main rivals of the company are Paton Welding Plant, Vistec LLC and BaDM LLC. The enterprise’s products are sold through a wholesale network in 19 regions of Ukraine, through intermediaries in Latvia, Estonia, Moldova, Lithuania, Belarus, Romania, Poland, Russia and Kazakhstan. This year PlasmaTec plans, in particular, to expand the geography of sales in the EU countries, as well as in Uzbekistan, Turkmenistan and Tajikistan. 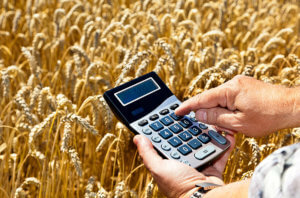 The total cost of investment projects in the Ukrainian agricultural sector as of early 2018 was estimated at almost UAH 41.3 billion, according to a posting on the website of the Agricultural Policy and Food Ministry of Ukraine. The ministry said that, a total of 474 investment projects are being implemented in agriculture, including 23.6% in the grain and industrial crops processing and storage segment, 12.4% in the pig breeding segment and 12.2% in the vegetable and fruit storage segment. The main source of financing of capital investment are own funds of producers (74.3%). The cost of investment projects varies from UAH 100,000 to UAH 9.6 billion. The largest number of investment projects is being implemented in Poltava (69), Lviv (64), Vinnytsia (48), Chernivtsi (43) and Cherkasy (41) regions. The ministry anticipates that the implementation of these projects would create some 16,000 new jobs. As of January 1, 2017, a total of 380 investment projects were implemented in Ukraine in agriculture. Their aggregate cost was UAH 27.9 billion. 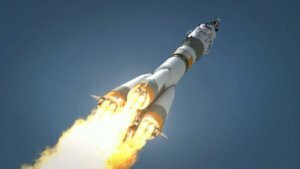 Enterprises of the Ukrainian space industry exported about 50% of manufactured products and services in 2017, the press service of the State Space Agency of Ukraine (SSAU) has reported. According to a report posted on the website of the agency, in the total volume of sales of the industry’s goods and services worth UAH 4.7 billion, the share of exports amounted to 49.3%, or 8.1% more than in 2016. According to the press service, the share of exports to the U.S., EU countries and other countries amounted to 92.9%, or UAH 2.11 billion, in total exports. Export growth for the reporting period was demonstrated by export-oriented enterprises, in particular, Arsenal Special Device Production State Enterprise – 57.4%, Pavlohrad Chemical Plant – 139.7%, Pivdenne Design Bureau – 19.6%, and PJSC Hartron – 63%. According to the agency, enterprises operating in the space industry increased production by 26.3% in 2017 year-over-year, to UAH 4.6 billion. Gross production grew by 22% and exceeded UAH 5.49 billion. The growth of sales at the end of the year amounted to 24%. SSAU currently manages 26 enterprises and organizations of the space industry. The state budget for 2017 envisages UAH 2.91 billion for financing the space industry, or 14.2% less than in 2016. In the total amount of financing, 61.5% of the funds from the state budget’s general fund are envisaged for the fulfillment of debt obligations on previously attracted loans for the implementation of international industry projects. Turkish-registered Onur company has won a number of tenders worth UAH 2.2 billion to reconstruct sections of the N-31 highway between Dnipro, Tsarychanka, Kobeliaky, and Reshetylivka in Poltava region. In particular, the company won the tenders worth UAH 380 million, UAH 321 million, UAH 299 million, UAH 280 million, UAH 385 million, UAH 350 million, and UAH 290 million to rebuild the sections of the said highway and build a road bypassing the village of Krasne, according to the ProZorro system. 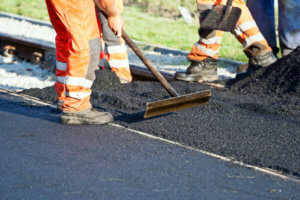 The company also won a tender worth UAH 297.4 million to conduct maintenance repairs to a section of the Kharkiv-Okhtyrka highway in Sumy region.